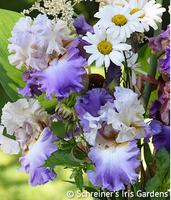 Remontancy, though, is NOT guaranteed. 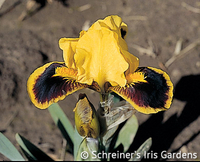 It is often dependent on geographic location, climate conditions and cultural practices. 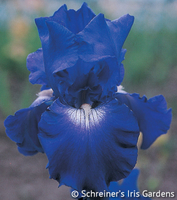 Rebloom may vary from year to year, as well. 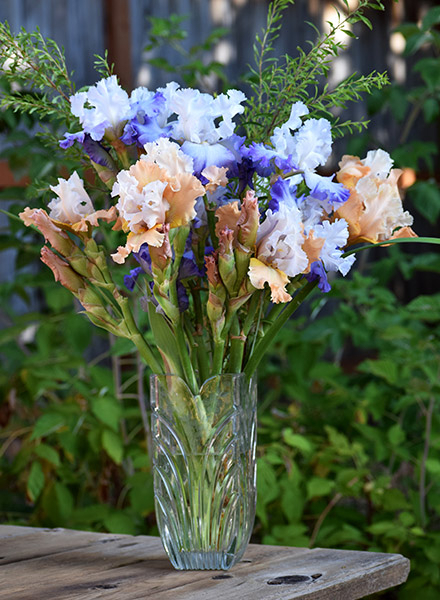 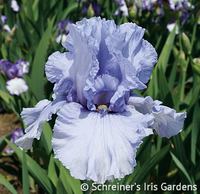 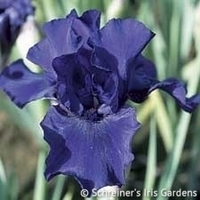 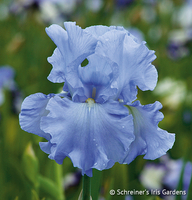 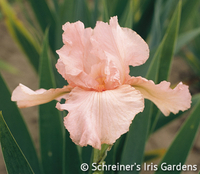 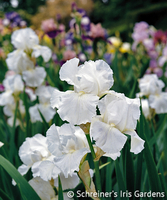 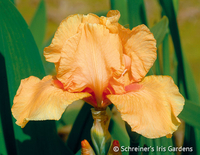 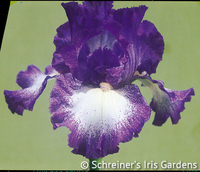 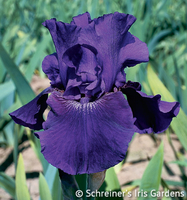 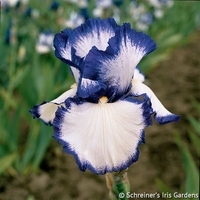 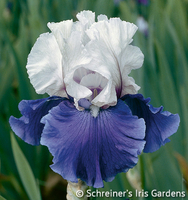 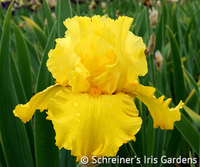 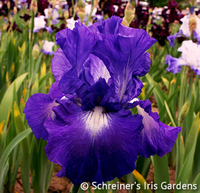 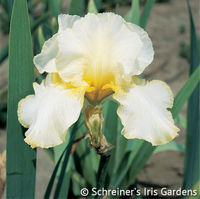 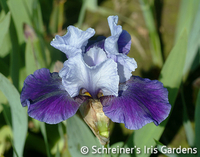 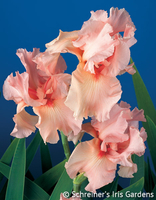 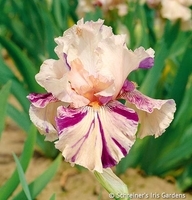 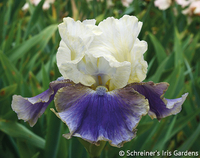 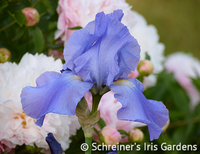 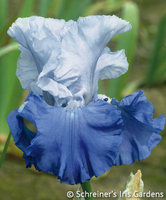 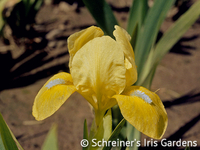 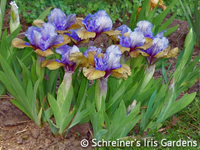 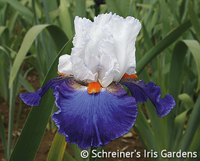 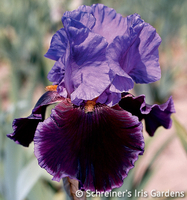 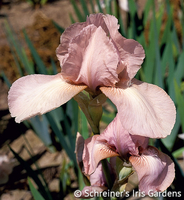 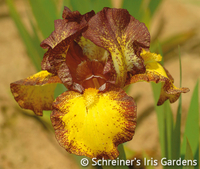 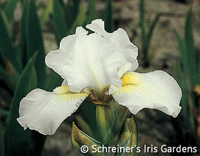 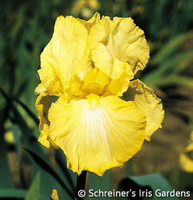 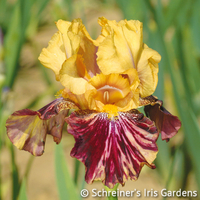 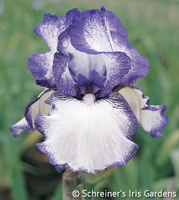 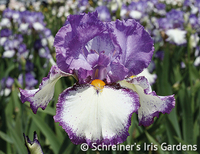 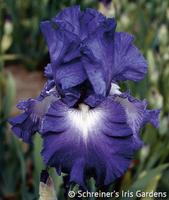 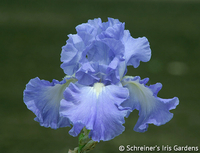 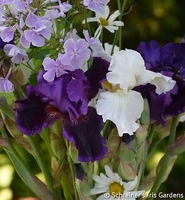 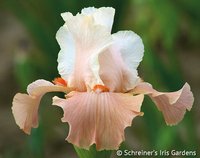 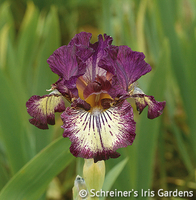 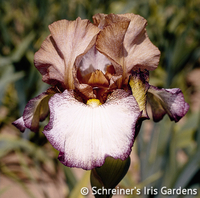 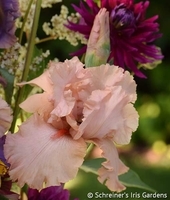 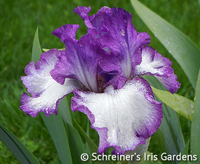 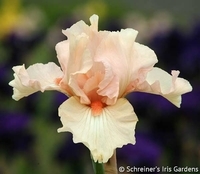 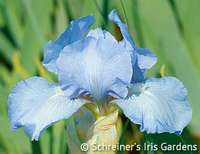 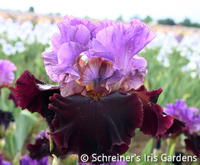 The varieties pictured below have been registered with the American Iris Society as having been bred to produce bloom stocks more than once in a year (first in the spring, and then again in the late summer or fall) . 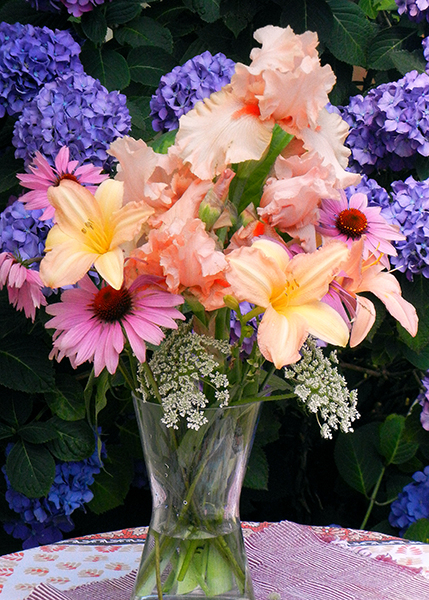 Pictured at right,bouquet of Heartstring Strummer (blue/white) with Champagne Elegance (peach) blooming in July.